The 14th of February is Valentine ’s Day. It’s a beautiful date to prove your love to the ones you love. It should be something very special, of course, not something without meaning. For those of you who don’t want to offer anything but roses, there are many creative ideas and exceptional Valentine’s gifts in here. Personal and shared experiences are wonderful proofs of love. Valentine ’s Day takes place on a Saturday this year – which is the ideal day for a trip together. Take your lover to a b}winter picnic. Cuddled up in some blankets with hot chocolate in your hands and a few tasty snacks in your pocket, transforming the coldness into a romantic experience – maybe during quietly falling snow. Find some vacuum jugs for hot drinks in the home design shop. Cakes, muffins or pralines delight everyone – especially when they are self-made. Surprise your lover with a self-made cake. The dough can be decorated with red cherries or it can look like a heart, suiting the special date. Our sophisticated baking dishes will make it easier and funny to bake. Something you will always succeed with: A candlelight dinner. 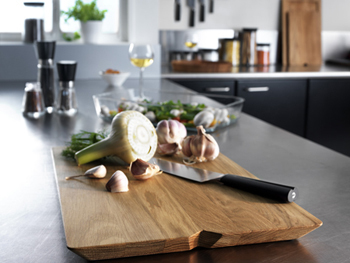 Show your partner how much he/she means to you by cooking for him/her. The dining table will look gorgeous without any effort, if you have the right accessories. Candleholders and lanterns complete the atmosphere of a romantic dinner for two. This is how your meal will become even more special despite of the familiar place you might be in. Make a memory out of this day, in order to feel closer to your partner. Offer a picture – of your common holiday, for example. A pretty frame will change a simple picture into a Valentine’s gift, which will remain in your minds forever. While we are already talking about holidays: Everyone would be happy if you offer a trip to a different city or country. But summer holidays are a bit too much for this event. A money bench might be a great symbolic starter in order to save money for a bigger journey. If you save for your holidays together, it will be more meaningful anyways. 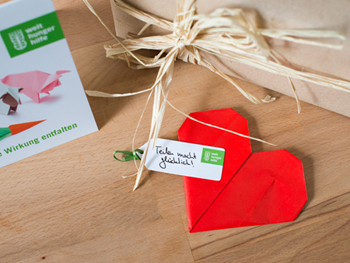 Something original is to donate a bit by buying an origami figure from the German Agro Action Welthungerhilfe . Suiting Valentine’s day, the donation is combined with an origami heart. The amount donated will immediately be given to the Welthungerhilfe and there it will be used for aid projects in developing countries. Why must it always be romantic? If you prefer to start the day of lovers with an eye-wink, there are some funny and affordable items available at Connox. How would a partners-glove be during these cold days. 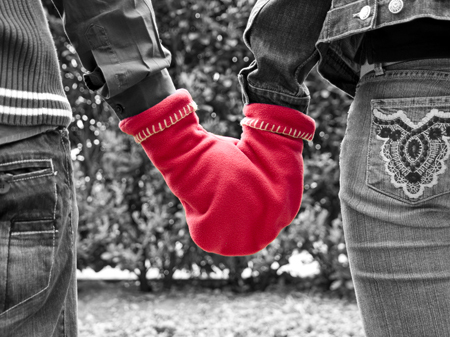 Glovers by Radius Design doesn’t only keep lovers together, but it will keep both of the hands warm because of the thermos fleece material. This is perfectly suitable to take a romantic winter-walk. The Hoptimist – Love will make you smile as well. As girl and boy – or: Bimble and Bumble – the jumping collector’s figures, available with a little love bite on the cheek. Proofs of love that will even make you laugh a little. There are more cheeky ideas in the home design shop. A survey of the German magazine stern had for a result that not even each fourth woman is offering something to her man on Valentine’s Day. That’s a little sad, as we think. There are so many pretty things that will make men’s hearts beat faster. We searched for such things for you, and here are the gifts we found. Love goes through the stomach: The Scratch Map Gourmet will make lovers travel through the world of culinary specialties together. The poster The Very, Very, Many Varieties of Beer by Pop Chart Lab will make the favourite drink of most of the men a cultural thing to be known. The Polar Pen is also popular: The focus lays on the ball pen, but it becomes a stylus for tablets, smartphones and other touch screens in only an instant. 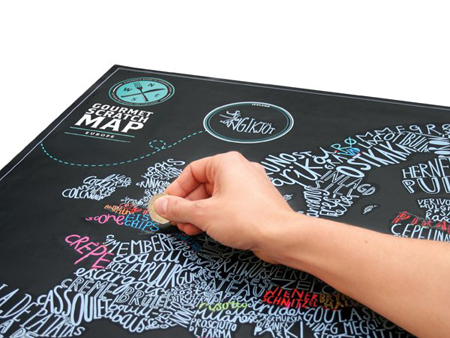 Moreover the pen of 13 magnets becomes a compass, notes-holder and toy – perfectly made for big children. The Polar Pen becomes an individual proof of love with a personal engraving. By the way, Valentine’s day is celebrated all over the world – everywhere a bit different: Lovers offer themselves something in Europe and America, according to the classic image of Valentine ’s Day. In South Africa it is a public celebration day, in Japan women also offer something to their boss. The custom of fixing locks at bridges comes from Italy. And the Finnish celebrate the “day of friends”, where other loved people get little gifts. But there is something they all have in common: Everyone shows how important someone else is for him.